Do Fairies Just Cause Mischief? By Zora: In a lot of spiritual writing and interest, the Angels, the blessed Archangels Michael, Raphael and Gabriel take precedence over fairies. This is partly because fairies haven’t quite come out of the broom closet in the way that the Angels have. The Fae does not seek to make them known like the Angels do and do not perform miracles that we can see unless we are looking for them. Because of their holiness and their associations with God, angels are often assumed to be a “safer” option to work with than fairies. Traditionally, we feel comfort at the idea of angelic presence over the idea of fairy presence. However, this comfort is all a matter of perspective. Yes, the angels are directly connected to God, but once we start understanding that the fairies are also angels that have been assigned to earth to protect its inhabitants and the environment, it all becomes a lot less scary. The mythology of fairies is such that they have been blamed for stealing babies, for playing pranks and for causing disease. Like other persecuted minorities, they were often scapegoats for anything unexplained or so horrendous, it could not possibly be an act of God. Because they have been given a bad rap over the years, this is what has caused us to forget their true purpose. Now, do fairies play pranks? Fairies are known for their mischief and yes, if you abuse animals and the environment they may not choose to engage with you. However, ( this cannot be stated enough) Fae morality is not human morality. They do not live by our laws; they do not understand our customs or if something is meaningful to us. This does not mean they are evil or mischievous and we must look at the intentions of the Fae a bit closer. What you or I perceive to be a prank, can be of assistance to us as well. For example, I had been quite ill for about a week and I had a prescription for some medication from my doctor that I was going to get filled the next day. I completely turned the house upside down looking for it, even though it definitely was kept on my bedside table. I knew it was the fairies as I had worked some Fae magic, in the past 24 hours asking for their protection. I was at my wits end and decided to re-book the doctor’s appointment to get another script. The next day once I had gone back to the doctor and the chemist, I took the medication and had a severe allergic reaction to it which resulted in a late night doctors visit and being quite sick for 24 hours. Now I thought the Fae were simply being annoying, but I had called to them and asked them to protect me. And they did that although I fell straight back into old belief systems about them. 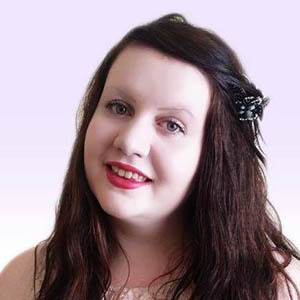 I have also heard of fairies “stealing” jewellery that had been previously owned by someone negative, thus removing the source of negativity straight from the ones they were protecting. Another good example is about the time we discovered a fairy portal. We had just moved into a new house and right behind us was a beautiful forest. Upon exploring it, I realised that it was a fairy portal and we spent quite a lot of time there. However, someone had been littering and we collected the rubbish and promised we would come back. The next day our bin was stolen. It was really quite an odd thing to occur as we lived in a very quiet country town; however, there was no doubt about it, our rubbish bin was missing. Two weeks later, once we had called the local council to arrange a new bin and it had arrived, our original bin was left at the same place it was missing from. So now we had two bins! We realised that the fairies had purposely hidden our first bin so we could obtain a separate one for the sole purpose of helping them clear away the rubbish. Just because they do things in ways that you or I wouldn’t do, it does not mean that they are out to get you. They are not human and they are not God, so they are not familiar with our structures. It is important for us to connect with fairy energy to bring joy and spark back into our lives. While our blessed angels bring protection, purity and harmony, the Fae and their zest for life are equally as important. 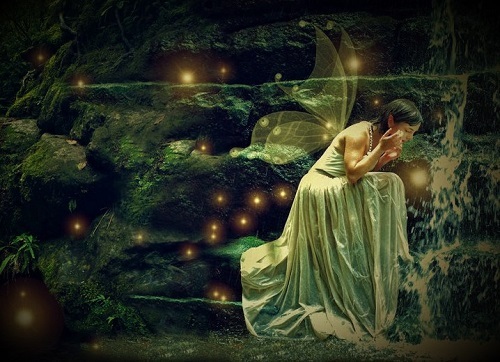 Fairies re-connect us back to our divine truth and inner child who is joyful and trustworthy. The reason children can see fairies so readily is because they do not need to see to believe and this is a very limiting paradox that adults can find themselves in. I implore you to step outside today and feel the energy shift in your body. This is the fairies working on your auric field. Knowing the fairies and believing in fairies can restore faith in the divine will and promote divine healing as the Fae are wonderful healers. After all the saying goes that if we do not believe in fairies that they die, however as a Fairyologist I do not believe that to be true. It is us who die, it is the spark within us that dies and it is us who cannot live without the fairies. 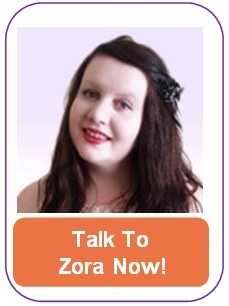 Zora is a naturally gifted, accurate, direct and compassionate Tarot reader who can guide you on your soul's path. 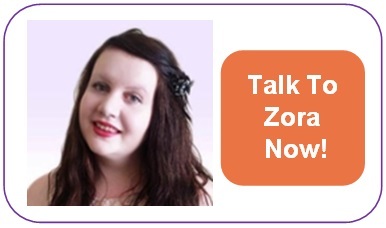 As a Certified Angel Card Reader, Zora is highly empathic and can coach you through the tough times with angelic love and light. Not only will the answers you have been seeking about your love life and life purpose be unveiled but you will be given the divine tools to handle them. This entry was posted in Fairies, Superstition and tagged Fairies, Fairy, fairyology on February 25, 2017 by Zora.